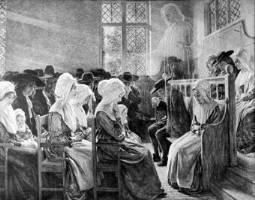 The segregation of men and women in a Quaker meeting, as shown in this image, was linked to the idea of a role for each. The early history of attitudes toward gender in the Society of Friends, given the popular name Quakers, is particularly notable for providing for one of the largest and most equitable roles for women in the Christian tradition at the time. Their views of women have always been considered progressive. The Society of Friends originated in England in the seventeenth century and quickly spread to the English colonies. 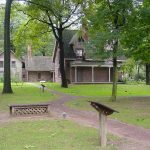 The most surprising aspect of Quakerism was the fact that ministry – the right to speak during a Quaker meeting – was open to women from the very beginnings of the movement in the 1650s. While Quakers believed that “no one should preach the Word without a direct call from God,” they also believed that anyone, male or female, old or young, could receive the call. One important aspect of the Quaker religion was the use of traveling ministers to spread the Quaker religion around the world. Especially in the early years, a large number – possibly the majority – of traveling Quaker preachers were women. The first order of business for a woman who had received the call and wanted to travel was to meet with the ministry committee at her own monthly meeting, and then at the quarterly and the yearly meetings. Once a minister traveled to their destination, they went about spreading the word. They met with small groups of Quakers, prayed with families, and endured many hardships in order to teach people of the joys and benefits of having a direct relationship with God. 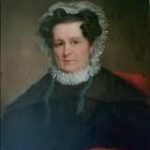 Undoubtedly the most influential of the earliest Quaker women was Margaret Fell. From Swarthmoor Hall, where she and her husband Judge Thomas Fell lived. In 1652, during his travels, George Fox arrived at Swarthmoor Hall, the estate of Judge Thomas Fell and his wife Margaret. Margaret was impressed by Fox, and believed that he was preaching the truth she had been seeking. Over the next three weeks, Fox stayed at Swarthmoor Hall, and Fell’s family and servants also become convinced of the Truth. Swarthmoor Hall became the nerve center of the movement. Traveling Friends evangelists came to rest and receive encouragement. Margaret took in traveling ministers, helped coordinate their travels, and provided financial support for ministers and imprisoned Friends. After Judge Fell’s death, Margaret married George Fox, uniting perhaps the two most important figures of the early period of Quakerism. Unfortunately, George was traveling or in prison during most of their married life, and they spent very little time together. The Quakers’ beliefs didn’t endear them to the Pilgrims and the Puritans in New England. 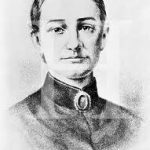 Not only did the Quakers allow women to participate in religious activities, but they believed that anyone could have a personal relationship with God. They rejected ordained ministers and traditional forms of worship. This would, of course, undermine the power and influence of the magistrates and Puritan ministers in Massachusetts. Both Plymouth and Massachusetts Bay Colonies passed a series of laws that forbade residents to give aid or shelter to Quakers. In Boston, a law was passed in 1658, banishing all Quakers from the colonies under pain of death. Perhaps the most famous Quaker martyr was Mary Barrett Dyer, who came to Massachusetts to spread the word of her Quaker faith. When Mary learned that two of her friends were jailed in Boston, she went to visit them in 1659 and was thrown in jail. Mary and her colleagues were released, and threatened with execution if they ever returned to Boston. Driven by conscience, Mary returned to Boston less than a month later. She was imprisoned, saw her two friends hanged, and was scheduled to be executed herself. She was reprieved at the last moment, with the rope already around her neck. Still not deterred, she returned again, and was hanged on June 1, 1660. In 1662, three young Quaker women from England came to Dover, New Hampshire. True to their faith, they preached against professional ministers, restrictions on individual conscience, and the established customs of the church-ruled settlement. They openly argued with Dover’s powerful Congregational minister John Reyner. To the constables of Dover, Hampton, Salisbury, Newbury, Rowley, Ipswich, Wenham, Linn, Boston, Roxbury, Dedham, and until these vagabond Quakers are carried out of this jurisdiction, you, and every one of you are required in the name of the King’s Majesty’s name, to take these vagabond Quakers, Ann Coleman, Mary Tompkins, and Alice Ambrose, and make them fast to the cart’s tail, and driving the cart through your several towns, to whip their naked backs, not exceeding ten stripes apiece on each of them, in each town; and so to convey them from constable to constable, till they are out of this jurisdiction. Deputy Waldron caused these women to be stripped naked from the middle upwards, and tied to a cart, and after awhile cruelly whipped them, whilst the priest stood and looked and laughed at it. The women thus being whipped at Dover, were carried to Hampton and there delivered to the constable…The constable the next morning would have whipped them before day, but they refused, saying they were not ashamed of their sufferings. Then he would have whipped them with their clothes on, when he had tied them to the cart. But they said, set us free, or do according to thine order. He then spoke to a woman to take off their clothes. But she said she would not for all the world. Why, said he, then I’ll do it myself.. So he stripped them, and then stood trembling whip in hand, and so he did the execution. Then he carried them to Salisbury through the dirt and the snow half the leg deep; and here they were whipped again. Indeed their bodies were so torn, that if Providence had not watched over them, they might have been in danger of their lives. In Salisbury, Dr. Walter Barefoot convinced the constable to swear him in as a deputy. Dr. Barefoot received the women and the warrant, and put a stop to the persecution. He dressed their wounds and returned them to the Maine side of the Piscataqua River. Eventually the Quaker women returned to Dover, and established a church. 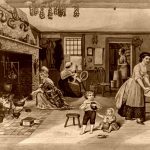 In time, over a third of Dover’s citizens became Quaker.